Since the dawn of time the poncho has been used by humans for cover,,it,shelter from the cold or from the weather,,it,a simple rectangle of fabric with a hole in the center for passing the head and that's it,,it,immediately usable and workable with the most disparate materials,,it,How can we forget the poncho Clint Eastwood in the hit film For a Fistful of Dollars,,it,This garment has had in the seventies her golden moment,,it, ripararsi dal freddo o dalle intemperie, un semplice rettangolo di tessuto con un buco al centro per far passare il capo ed il gioco è fatto, simple, immediatamente fruibile e realizzabile con i materiali più disparati. Come non ricordare il poncho di Clint Eastwood nel famosissimo film Per un pugno di dollari… Questo capo d&#8217;abbigliamento ha avuto negli anni settanta il suo momento d&#8217;oro, those who lived in that historical period has owned one,,it,especially if they belonged to the youth movement & nbsp; peace of & nbsp; Hippies which the & nbsp; considered an accessory & nbsp; unisex,,it,Since last year ponchos and capes are generally & nbsp; back in fashion with the review & nbsp; the Hippy style now called & nbsp; Boho Chic,,it,Well even in the Boho Bride it has become one of the prevailing trend and among other accessories replicated ponchos and capes could not miss,,it, especially if it belonged to the pacifist youth movement of Hippies which considered him a unisex accessory. 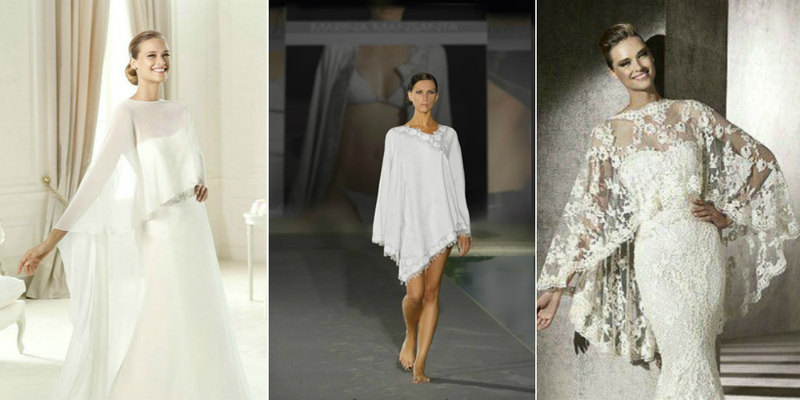 Dallo scorso anno i poncho e le mantelle in genere sono tornati di gran moda con la rivisitazione dello stile Hippy oggi chiamato Boho Chic, ebbene anche nella sposa il Boho è divenuto uno dei trend imperanti e tra i vari accessori riproposti poncho e mantelle non potevano mancare. 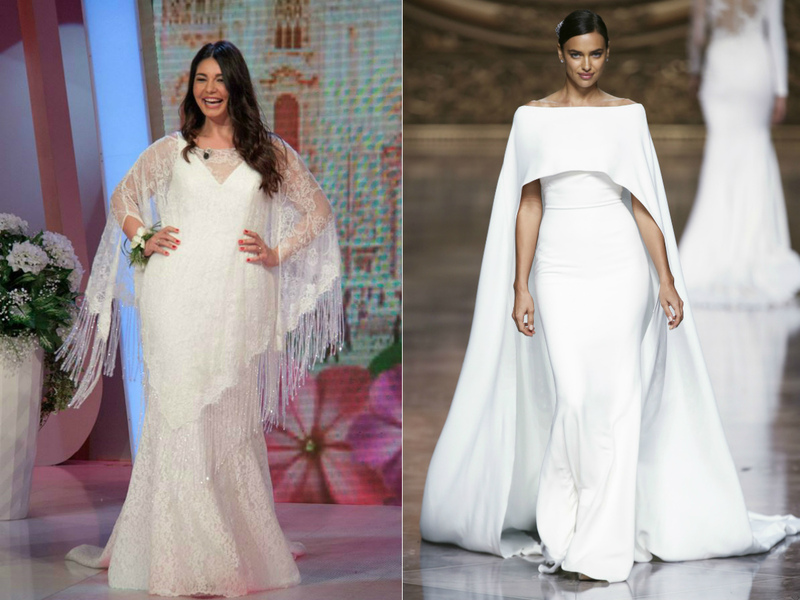 All the designers have added at least one in the bridal collections,,it,and in fact,,it,depending on the material in which it is packaged,,it,the poncho can be elegant if Lace,,it,if it has done in delicate organza or chiffon, or fatal or & nbsp; glamorous chic in the long version maybe combined with a petticoat satin dress,,it,The juxtaposition more appropriate,,it,in my opinion,,it,It is a & nbsp; sheath dress long & nbsp; or with pants,,it,whether they are to cigarette or large,,it 2018 ed in effetti, a seconda del materiale in cui è confezionato, il poncho può essere elegante se in pizzo, delicato se fatto in organza o chiffon oppure fatale e glamour chic nella versione lunga magari abbinato ad un abito sottoveste in satin. 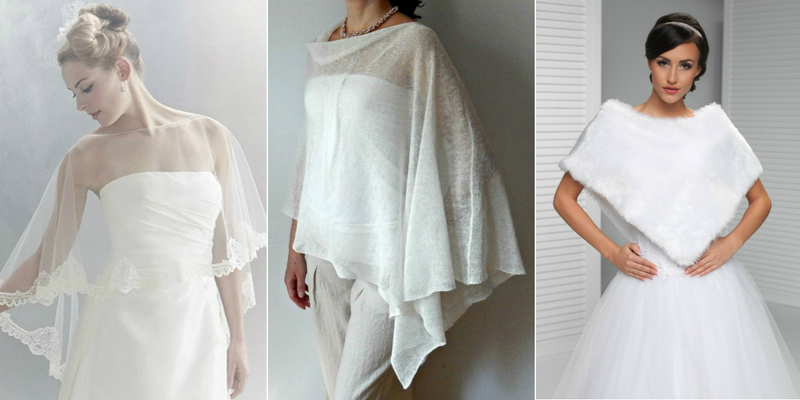 L&#8217;accostamento più azzeccato, a parer mio, It is the one with a sheath or along with pants, siano essi a sigaretta o ampi, I would avoid instead of wearing the poncho if you chose a dress from important skirt. D&#8217;inverno comunque questo capo diventa una carta vincente! Lo si può infatti realizzare in panno, in velluto oppure in pelliccia ecologica ma anche farlo fare direttamente a ferri o all&#8217;uncinetto dalla nonna (se ne avete una appassionata) la quale certamente sarà lusingata e felice di crearne per tenere al caldo l&#8217;adorata nipotina nel giorno delle sue Nozze.